Under Your Roof - Nature is now at risk more than ever before. As the population of the planet grows, the forests are being destroyed, the oceans and air polluted. We don’t stop and look at the damage we make. Everyday we consume and waste what is given to us, we exploit the planet. Soon enough the earth’s natural resources, which are vital to the survival of the human population, will reach its limit. To keep and improve our beautiful oceans and forests we need to make some changes. Some of those changes can start in our everyday life behaviour. 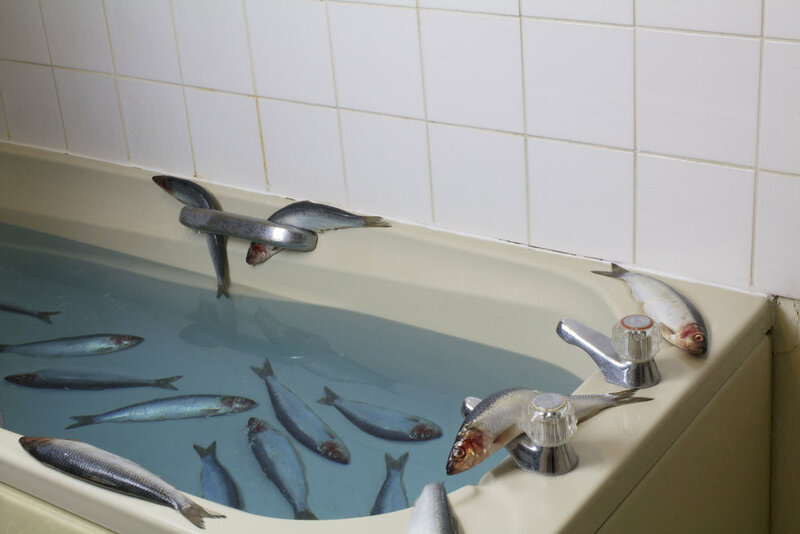 By only using two fish and digital manipulation, this photograph represents the idea of the damage done to nature due to our actions. Food, water, forests, and wildlife are all renewable resources that need our attention to help them regenerate. Each of us can contribute to this vital action by looking at what we can change in our everyday life to reduce the damage done to the environment. This photograph was shortlisted for the Sustainability Art Prize 2018 - Cambridge School of Art | Cambridge UK.